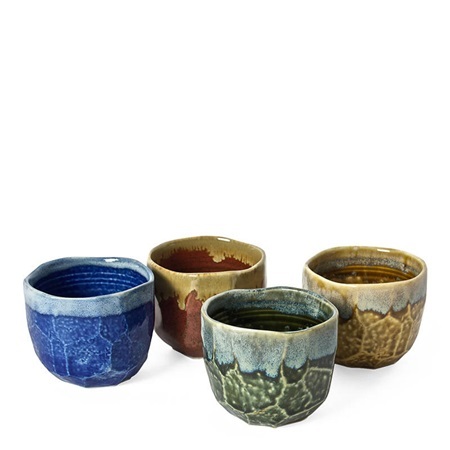 Our popular Boulder teacup trasnformed with jewel tone glazes. Perfect for hot or cold drinks, once you pick up these versatile cups, they will be hard to put down. Set of four 10 oz. boulder teacups in assorted colors packaged in a black gift box.